According to lawyers the compensation for moral damages has to ‘commensurate with the size of the tragedy and the extent of the irresponsibility with which Vale acted’. SÃO PAULO, BRAZIL – Representatives of Vale workers who were victims of the break of the Feijão Dam, in Brumadinho, Minas Gerais are filing a collective action against the mining company. According to lawyer Maximiliano Garcez, workers are asking for R$5 billion in compensation for the collective social and moral damages caused by the multinational. Firefighters look for survivors in Brumadinho where in January a dam broke, burying part of the town under mud, photo internet reproduction. “We are also demanding that Vale be held accountable for the victims’ last family members in the coming decades. That Vale take responsibility for mitigating the suffering of family members,” Garcez told reporters. The lawyer added that the lawsuit also calls for the hiring of a company that will “actively monitor the physical and mental health of family members” and determine what Vale should pay in terms of additional aid in the future. Unlike the civil action filed by the Labor Prosecutor’s Office, the entities claim compensation for moral damages both to the families of the employees who died during the tragedy and to the surviving workers. In all, the lawsuit asks that each of the deceased workers’ families receive R$10 million in compensation. The amount is similar to that set by the mining company. The compensation to be given to every Vale employee who was present at the time the damn broke is of R$1.5 million. The amount asked by employees who worked in the region but who were not there at the time of the disaster is R$1 million. “The amount is equivalent to 1h20 of Vale’s profit, so we do not consider it to exorbitant,” he said. “It is a very reasonable value considering the tragedy and all the measures that could have been taken to avoid it,” he added. Vale recently announced that its profit margin for Q4 of 2018 was of US$3.7 billion. 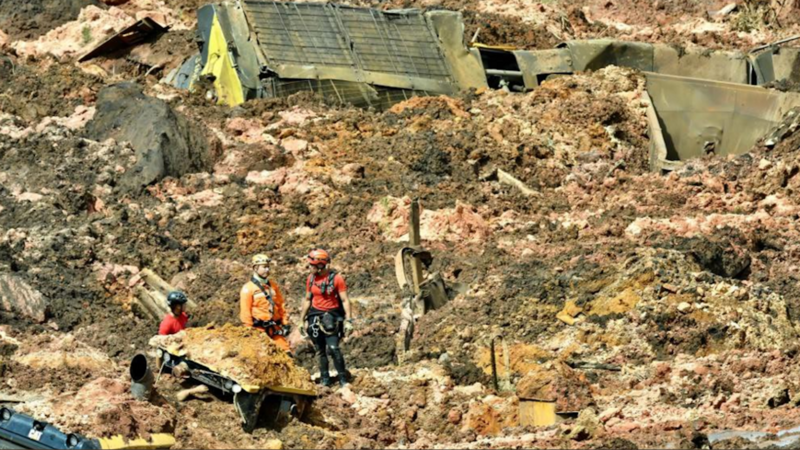 The latest numbers by the Civil Defense of Minas Gerais confirm a total of 225 deaths due to rupture of the Feijão Mine on January 25th this year. Officials say 52 people are still missing.